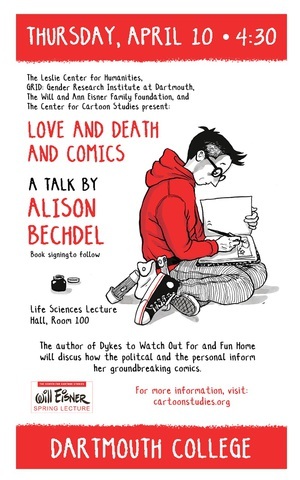 The Center for Cartoon Studies in White River Junction, Vermont has announced that Alison Bechdel will present the 2014 Will Eisner Spring Lecture at Dartmouth College. 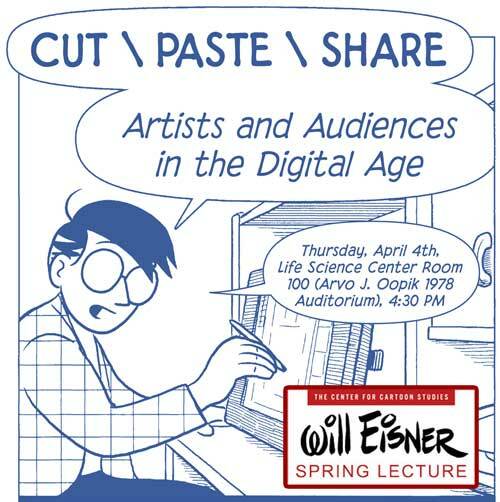 Will Eisner Spring Lecture will be held again this year in conjunction with the Leslie Center for Humanities at Dartmouth College. Exploring the Public Life of the Imagination. 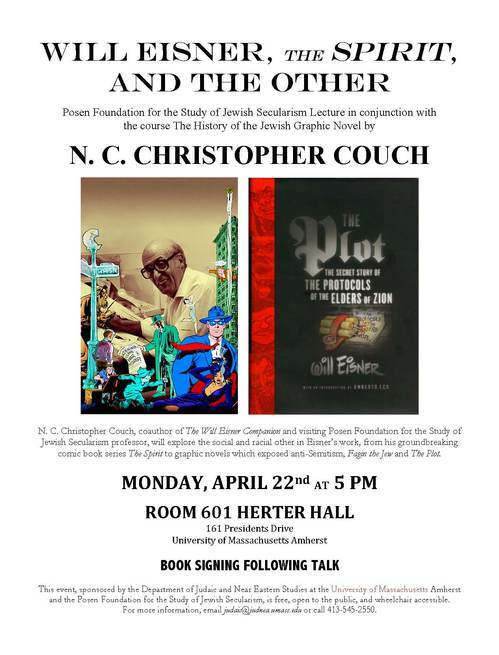 The Lecture is FREE and Open to the Public, and will take place Thursday, April 12th, 4:30 PM at Dartmouth in Kemeny Hall. 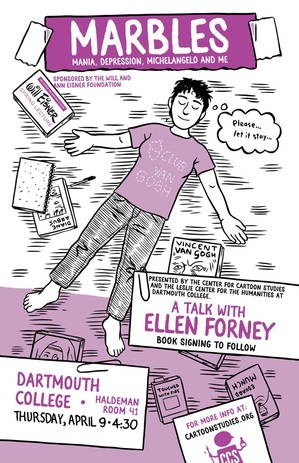 For more information about the lecture visit the Center for Cartoon Studies Website. 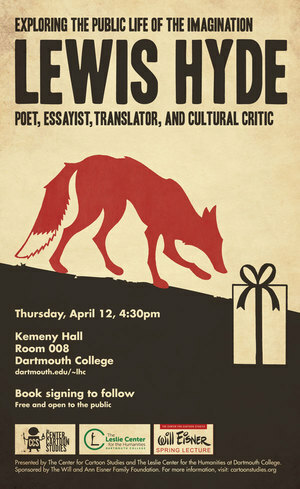 For information about Lewis Hyde visit www.lewishyde.com. This page is an archive of recent entries in the Will Eisner Lecture category. Will Eisner is the previous category. Will Eisner Week is the next category.